It has been announced that L.A. Rising will return in 2014. The music festival, which last featured Rage Against The Machine, Muse, Rise Against, Lauryn Hill, Immortal Technique, and El Gran Silencio in 2011, has reported on it’s Facebook page that it will return next August. The first L.A. 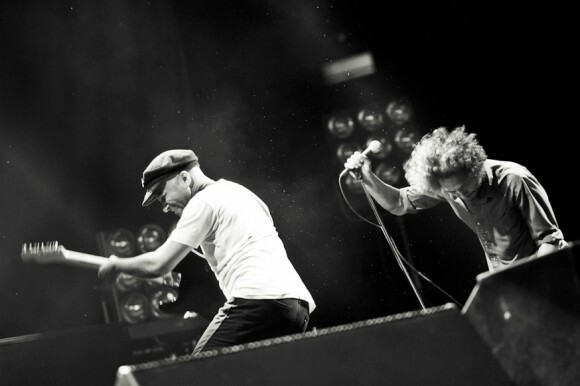 Rising Festival took place on July 30, 2011 and was driven mostly by Rage Against The Machine. It was their only live performance of that year, and fans have not seen anything from them since. L.A. Rising’s Facebook page is buzzing with excitement from fans getting to seeing RATM again, however, it is only speculation at this point, as no details regarding the festival lineup have been released.